A place for Cleveland-area tabletop gamers to chat and organize. 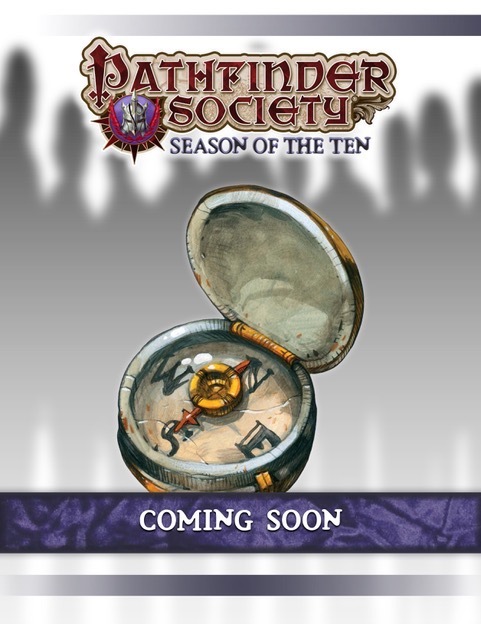 A Pathfinder Society Scenario designed for levels 7-11. Remembered as the Ruby Phoenix, the legendary sorcerer Hao Jin disappeared without a trace centuries ago never to be seen since. The Pathfinder Society has spent much of the past decade exploring her vast museum demiplane, yet in recent years the demiplane's very existence has begun to unravel, threatening to cast its contents into the void. The Society's leaders believe that only Hao Jin herself might be able to repair her creation, and a new lead at last reveals where she had gone: the realm of perfect law, Axis. As elite agents, the PCs must track her down and convince her to save the tapestry demiplane and all of the creatures that live there. Id love to play this core too, Melvin would rock. Just confirming we're on for tonight. i'll be there. not sure who else.